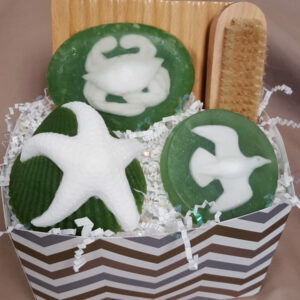 Natural seaweed soap, a great gift for the holidays! Each basket, priced at just $19.99, is ready to gift in a holiday themed box wrapped in cellophane and finished off with a bow. 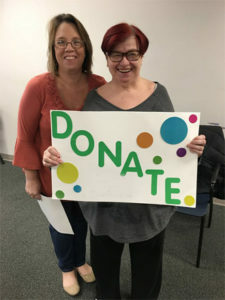 Your purchase of Inner Ocean Products provides meaningful employment for adults who live with an intellectual disability in Worcester, Wicomico and Somerset counties.